Rickshaw April 18 with Kutapira! 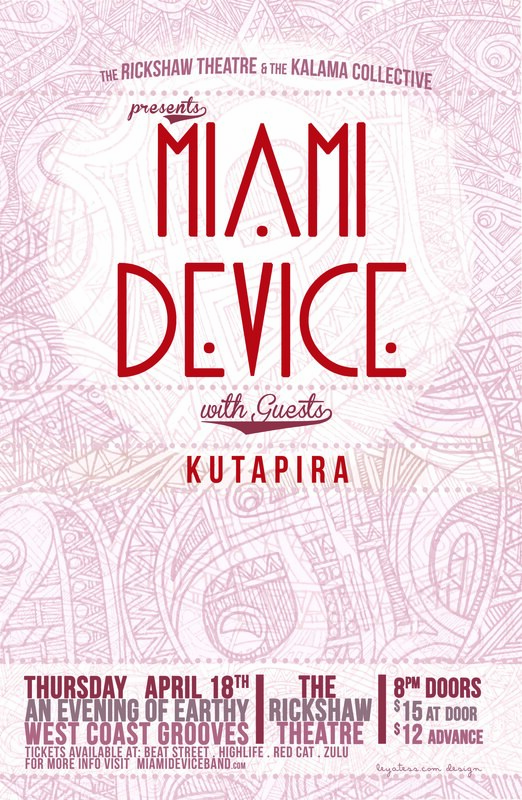 Well kiddies, we’re excited to announce that Miami Device will be sharing an evening at Vancouver’s renowned Rickshaw Theatre with Kutapira and Headspace!! In partnership with the prestigious Kalama Collective and the Rickshaw Theatre, these are three artists that never stop finding new ways to make you shake your behind. April 18, 2013 – Doors open at 8PM, show starts at 9PM. The Rickshaw Theatre is located at 254 East Hastings. NOTE: Tickets sold online are Will-Call only, so don’t stress when nothing arrives in the mail.